Eternal Orthodox Church calendar for the 31.07 year 2017. 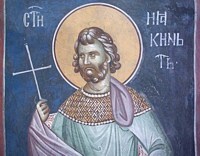 In the time of Julian the Apostate, in the town of Dorostolon in Thrace, there lived the young Emilian, a servant of the governor. When the Emperor Julian began to persecute the Christians with fire and the sword throughout the Roman Empire, the imperial delegate arrived in Dorostolon to kill the Christians. But he did not find a single one there. Delighted by this, he gave a great feast for the citizens of Dorostolon and ordered the offering of sacrifices to the idols, and merrymaking day and night throughout the town. That night, holy Emilian went round the temples, squares and streets of the town and, with a hammer, smashed all the idols. On the following day, the whole town was in uproar; everyone was searching for the destroyer of their gods. A villager, who was seen passing near the temples that morning, was arrested and Emilian, seeing that an innocent man would suffer, said within himself: "If I conceal my action, what sort of use has it been? Shall I not stand before God as the slayer of an innocent man?" He therefore presented himself before the imperial legate and confessed the whole. The legate, in a rage, questioned Emilian, asking him on whose instructions he had done such a thing. Christ"s martyr replied: "God and my soul commanded me to destroy those dead pillars that you call gods." Then the judge ordered that he be flogged, and, after flogging and other tortures, be burned. Thus St Emilian finished his earthly course and moved to the heavenly life, on July 18th, 362. An Egyptian ascetic on the Nitrian mountain, he was a contemporary of St Antony the Great and himself great in monastic asceticism. He had two characteristics by which he was especially known: by long training, he sealed his lips, so that no unnecessary word passed them, and he never ate any bread other than that which he gained by his own labour, plaiting rushes. He was like an angel of God and, in old age, his face shone as did the face of Moses in ancient times, so that the monks could not look on it. He did not give a quick answer even to a simple question, without prior prayer and pondering in his heart. 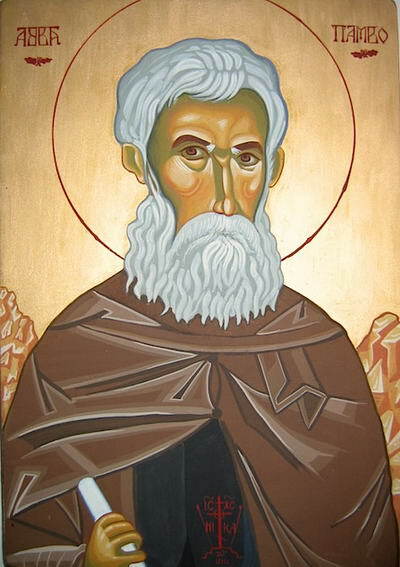 At one time, Theophilus, Patriarch of Alexandria, was visiting the Nitrian monks. The monks begged Pambo to "give a word" to the Patriarch. The silent Pambo replied: "If my silence is of no help to him, neither will my words be." St Pambo was once travelling around Egypt with some monks. When they came to a group of people who remained seated as the monks passed them, St Pambo said to them: "Get up and greet the monks, and ask their blessing, for they converse unceasingly with God and their lips are holy." This wonderful saint had clear discernment into the destiny of the living and the dead. He entered into rest in the Lord in the year 374. Brothers, sons of wealthy parents, they were both monks. One devoted himself to asceticism in the desert and the other to works of mercy among men. St Pambo saw them both in Paradise. Through this, a dispute among the monks as to which is better: asceticism or works of mercy, was settled. Both the one and the other, when performed in the name of Christ, lead to Paradise. 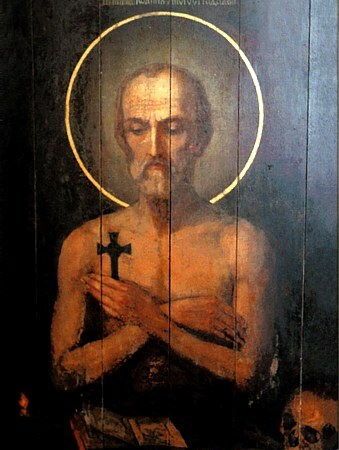 An anchorite in the Caves of St Antony in Kiev, he was tormented for thirty years by a spirit of carnality, against which he struggled incessantly until he overcame it with the help of God and by touching the relics of St Moses the Ugrian (see July 26th). 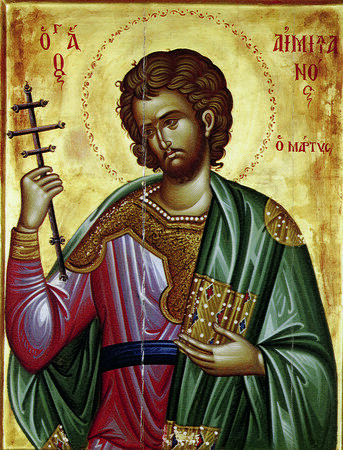 Conquering this foul passion, St John was bathed inwardly with heavenly light, by which he was enabled to see as clearly at night as in the daytime. 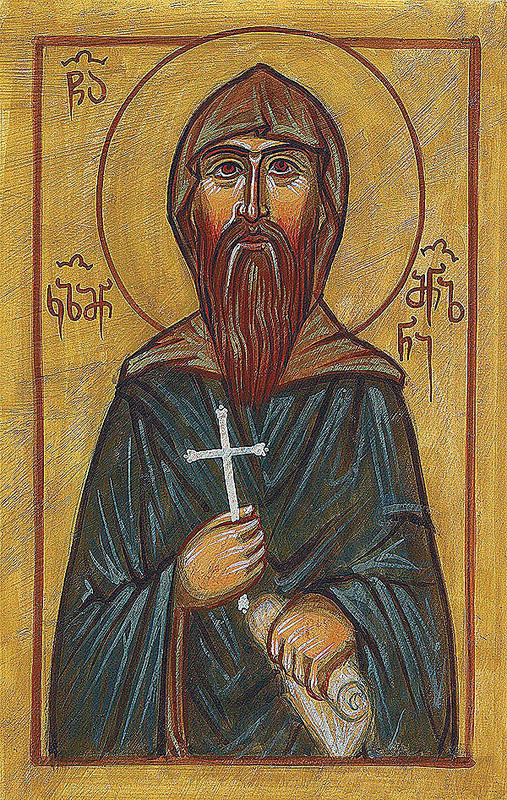 The Monk Leontii was the founder of the Karikhov monastery, near Novgorod. He expired to the Lord on 18 July 1429.